The Police: Public Television Rocks! The Police, in conjunction with New York public television stations Thirteen/WNET and WLIW21, have announced that after 14 months of a record-breaking tour, their much anticipated final concert, will take place on Thursday, August 7, 2008, at Madison Square Garden, featuring special guests The B-52s. In a groundbreaking partnership, tickets to the concert will only be available through a pledge to Thirteen/WNET and/or WLIW21. The concert is expected to be the largest single fundraising event in the history of public television. Tickets to the final Police concert will be available in pairs to supporters of Thirteen and WLIW21 as thank-you gifts for contributions at various gift levels on Saturday, June 14. 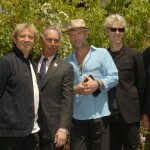 The stations will celebrate The Police with a historical look at Sting, Stewart Copeland and Andy Summers, featuring classic concert footage and interviews. This will air simultaneously on Thirteen, WLIW21, and Thirteen HD, from 7:30 p.m. to 9:00 p.m. Later that same evening, WLIW21 will rebroadcast at 9 p.m. The band’s partnership with public television kicks off “Public Television Rocks!” — a new campaign initiated by Thirteen and WLIW21 that will combine events and programming to expand public television’s appeal to a wider audience and will become available to public television stations across the country for their own fundraising efforts. Official site: www.publictelevisionrocks.org. 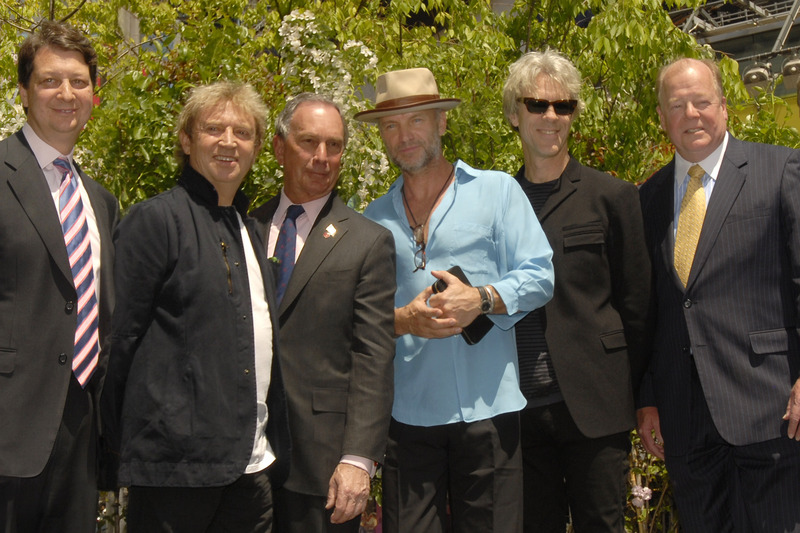 CUTLINE: Pictured (left to right) Neal Shapiro, President and CEO of the Educational Broadcasting Corporation, the licensee of Thirteen/WNET and WLIW New York, Andy Summers, New York City Mayor Michael Bloomberg, Sting, Stewart Copeland and Terrel Cass, President and General Manager of WLIW New York.